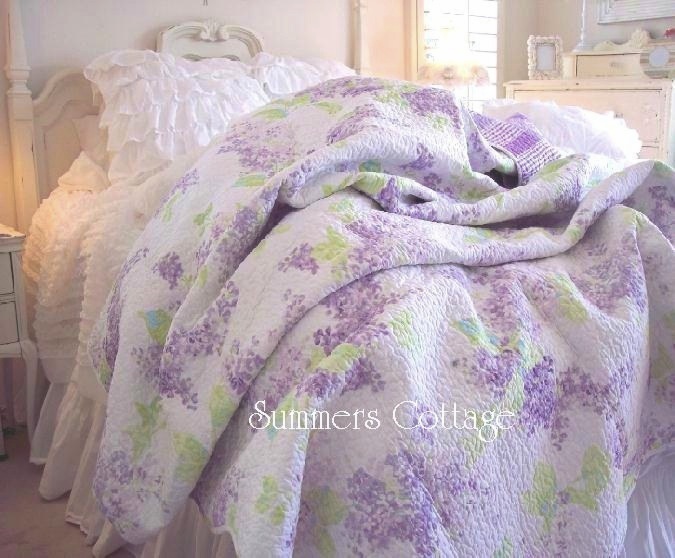 Twin Quilts - A twin quilt is the essential bedding linen for a variety of uses! 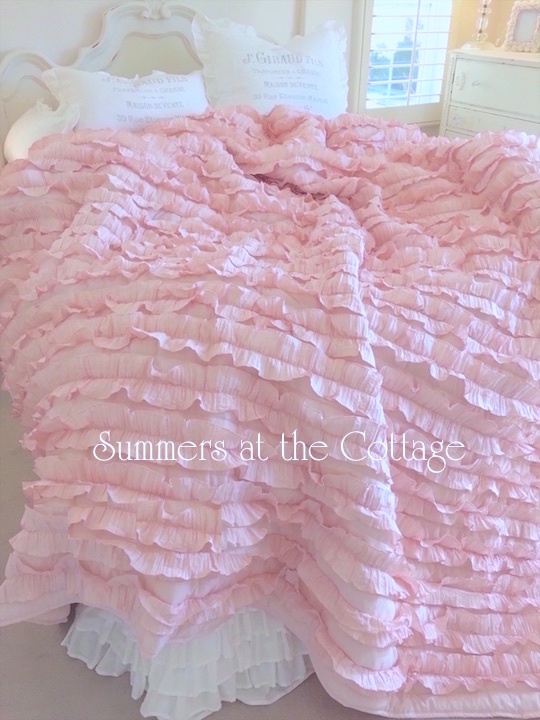 Not only perfect for a twin bed and not only used for children (very often seen in a Bed & Breakfast or Inn), but also wonderful to use as a daybed cover too. As babies become toddlers and big girls, they move from their crib to a twin or full / queen bed. 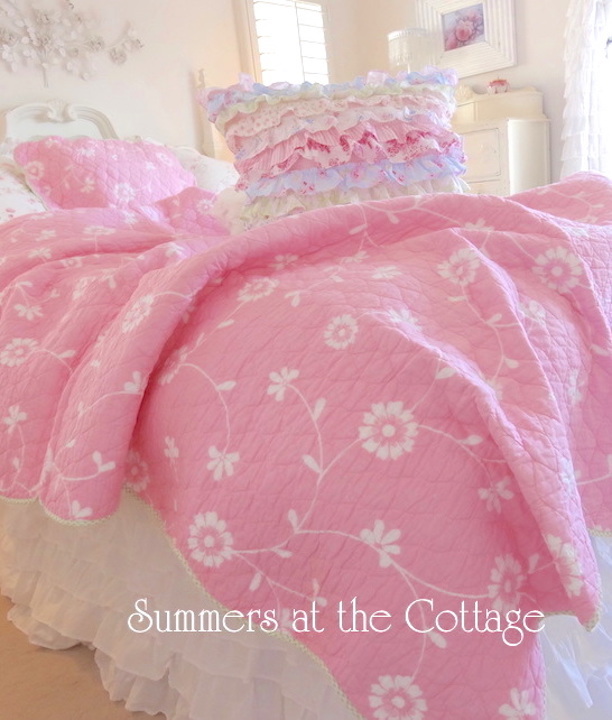 Our assortment of beautiful cottage chic colors, styles and patterns are warm and cozy for all ages. 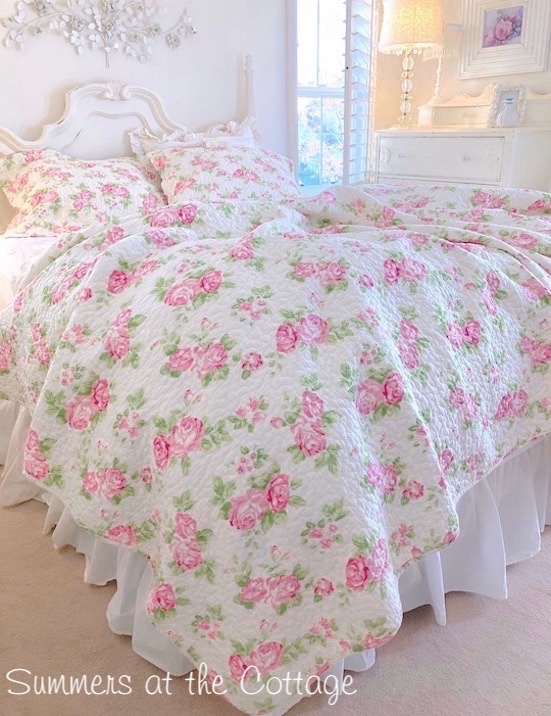 Great for college girls to use in a dorm room. 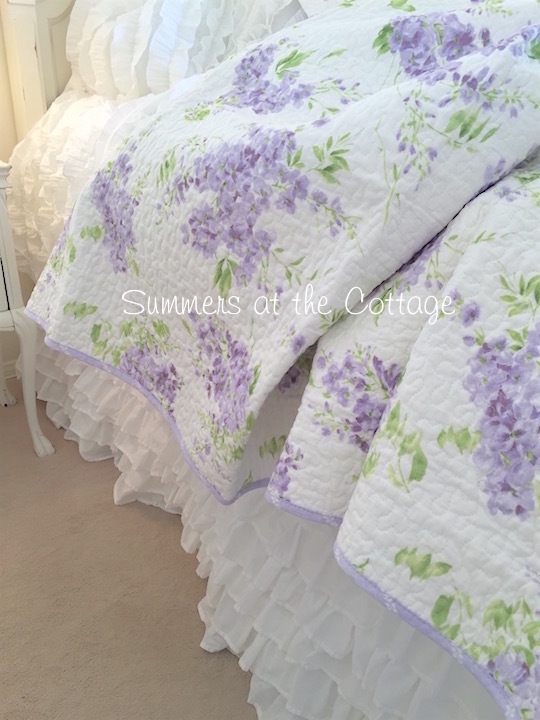 For a cottage chic look, layering linens on your bed is a must. 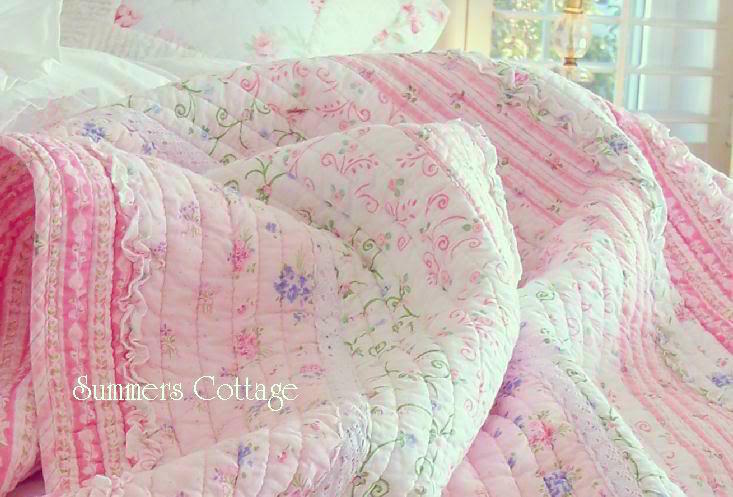 Twin size bedding is used at the end of a Full / Queen or King size bed to give that quintessential shabby chic romantic cottage charm. 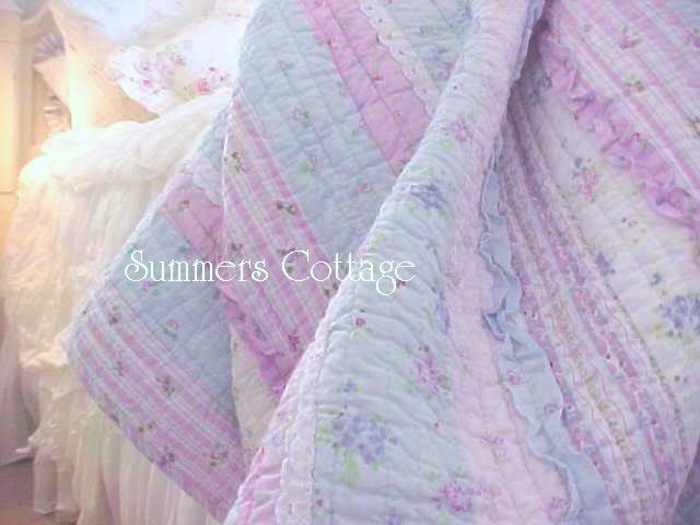 We offer all of the best shabby chic cottage colors and designs. 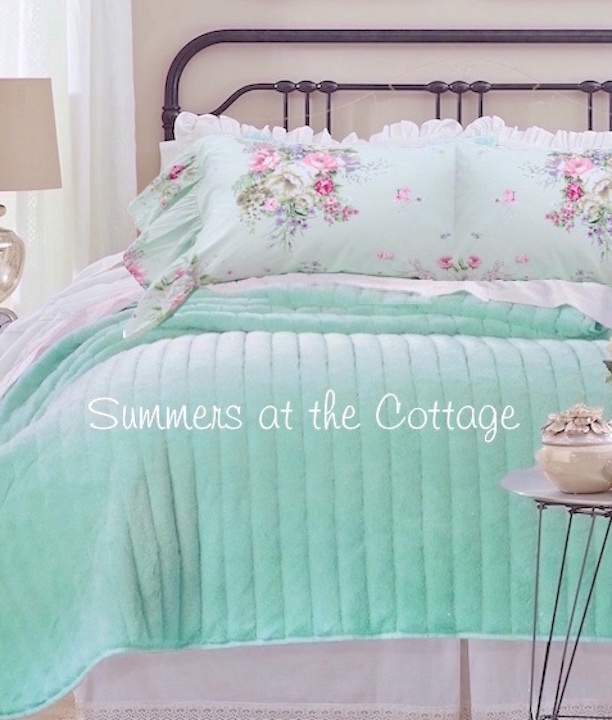 From pastels to rich French County farmhouse hues. 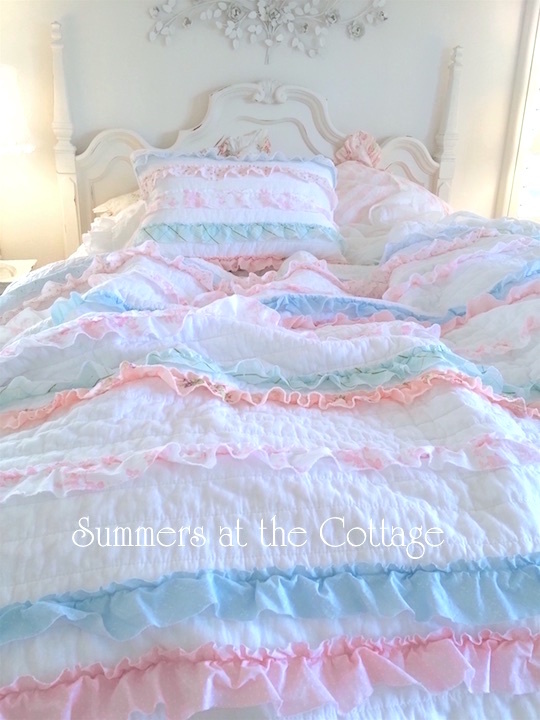 From sunshine yellow, pink and aqua blue, sage and mint green. 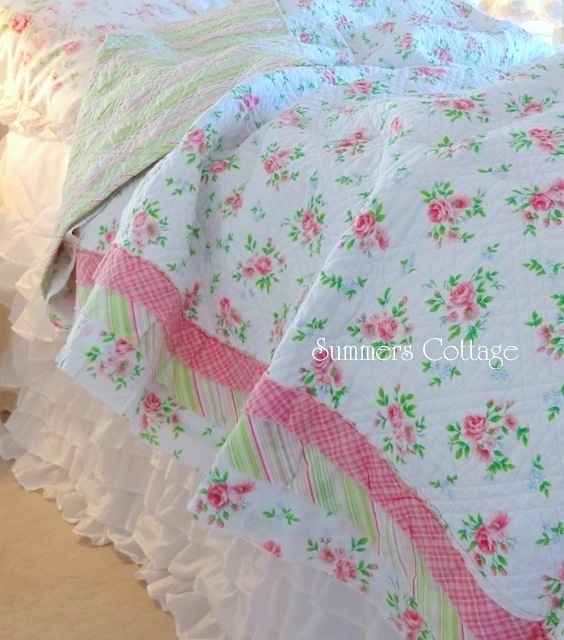 Flowers and roses, cabana stripes and ruffles, paisley and patchwork. 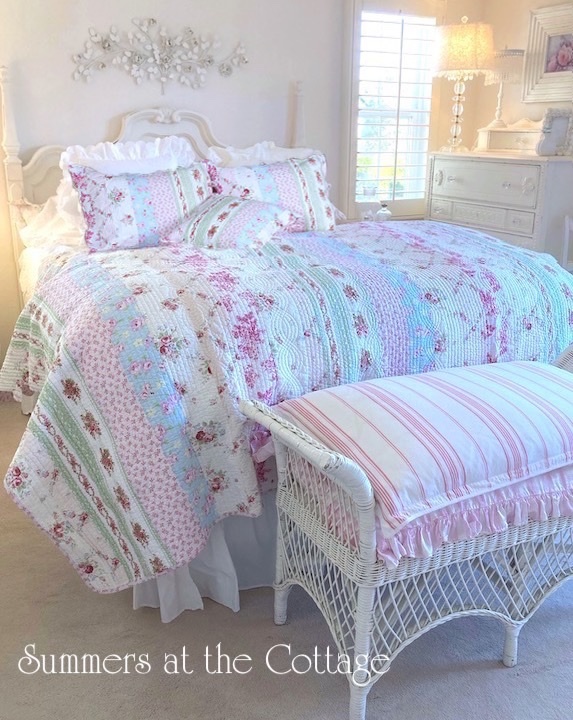 Lovely for vintage or antique white iron beds and old painted cottage beds bring a touch of vintage charm to the beautiful new bedding we offer. We hope you enjoy our selection and check back often for new arrivals!